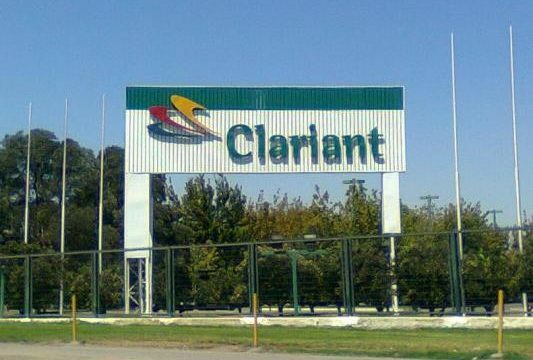 Clariant (Muttenz, Switzerland) and Huntsman Corp. (Salt Lake City) announced on May 22 that their boards of directors unanimously approved a definitive agreement to combine in a merger of equals through an all-stock transaction. The merged company will be named HuntsmanClariant. On a pro forma 2016 basis, the combined companies will create a leading global specialty chemical company with sales of approximately $13.2 billion, an adjusted EBITDA of $2.3 billion and a combined enterprise value of approximately $20 billion at announcement. HuntsmanClariant will leverage shared knowledge in sustainability and boast a much stronger joint innovation platform. This will enable the development of new products in order to deliver superior returns and drive shareholder value. Clariant shareholders will have 52% of the combined company; Huntsman shareholders will have the remaining 48% and receive 1.2196 shares in HuntsmanClariant for each Huntsman share. Each existing Clariant share will remain outstanding as a share in HuntsmanClariant. The combined company, incorporated in Switzerland, will be governed by a Board of Directors with equal representation from Clariant and Huntsman and will follow Swiss Corporate Governance Standards. Hariolf Kottmann, current Clariant CEO, will become Chairman of the Board of HuntsmanClariant. Peter R. Huntsman, current Huntsman President and CEO, will become CEO of HuntsmanClariant. The merger enjoys strong commitment from both Clariant and Huntsman family shareholders. Peter R. Huntsman, President and CEO of Huntsman, commented: “I could not be more enthusiastic about this merger and look forward to working closely with Hariolf Kottmann, a man I have admired and trusted for the past decade.